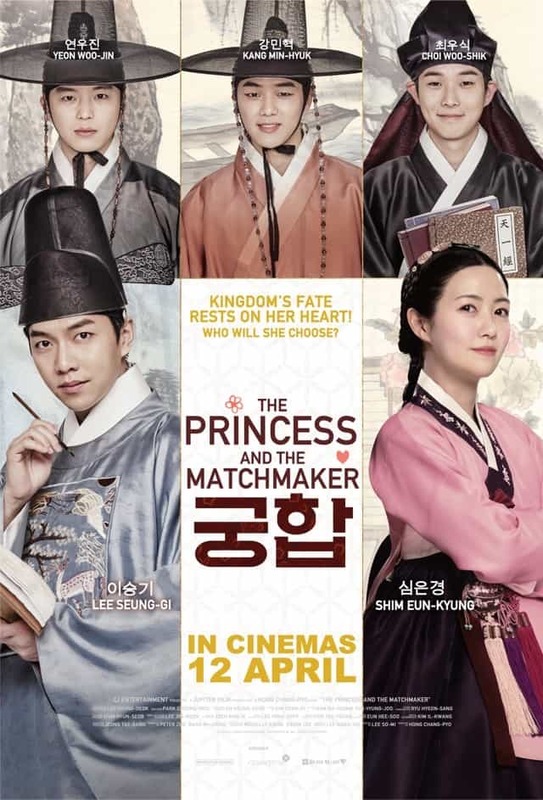 Set in the mid 18th century during the reign of the 21st King of the Korean Joseon Dynasty, The Princess And The Matchmaker (궁합 literally means horoscope compatibility for marriage) is a fun movie that plays with superstition and traditions of ancient Korea. Shim Eun-gyeong plays Princess Songhwa, daughter of King Yeong-jo (Kim Sang-gyeong) and supposed jinx who has to wear a mask every time she steps out of her room. When the empire suffers an extended drought, the King decides to hold an auspicious event to appease the gods by having a public selection for a compatible man to marry the Princess. Very soon, the long list of men is reduced to four final candidates. 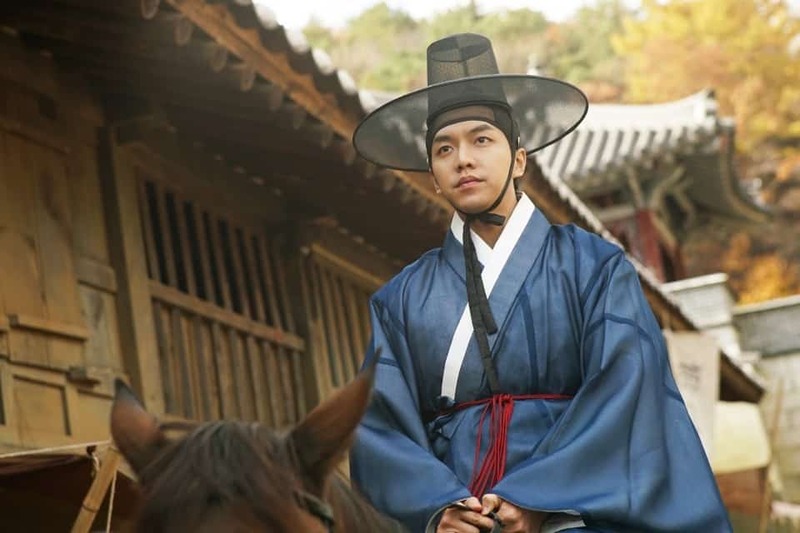 To ensure conjugal harmony between his future son-in-law and his daughter, the King hired Seo Do-yoon (Lee Seung-gi from Netflix’s The Korean Odyssey), the country’s best fortune teller to match the Princess and candidates’ horoscopes. 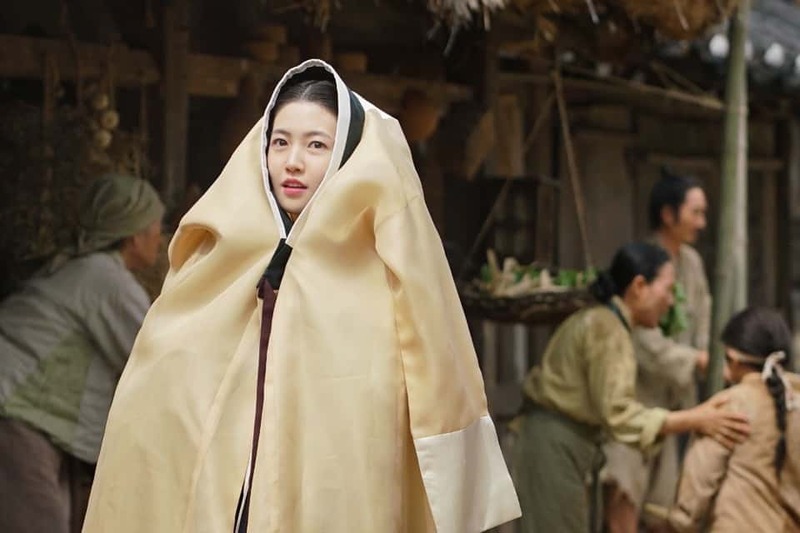 After a dialogue (one of the film’s most hilarious) with her married elder sister Yeo-hee (Joo Da-young) on the importance of love in a marriage, the Princess decides to steal the candidates’ list from Do-yoon and sneak out of the palace to spy on her potential suitors. In triying to retrieve the list, Do-yoon goes after the Princess who is disguised as a personal servant without knowing her identity and so a series of comedic moments follow as she meets each candidate in various disguises. The main issue of 궁합 is how debut director Hong Chang-pyo jumps from one plot point to the next abruptly while slotting in flashbacks, confusing viewers at times as to which part of the timeline the various characters are in. While we reckon only our two main leads – the Princess and fortune teller – need elaborate backstories for the Korean rom-com formula to click with Koreaboos, the unconvincing and poorly-written antagonists affected the film’s overall enjoyment. Undoubtedly, it helps to have seasoned performers like Lee Seung-gi, Shim Eun-gyeong, and Cho Bok-rae holding the movie’s entertainment value. All in all, 궁합 will tickle you at the right moments more than move you to tears, just because the lovers don’t face much of an ordeal. But it’d surely satisfy your inner Koreaboo. Summary: Staying true to the typical Korean rom-com formula performed by a star-studded cast, its sub-par storytelling slightly drags down the entertainment value but is still sweet and hilarious.